A University of Southampton led project, exploring how people of antiquity viewed the geography of the ancient world, has been backed by $50,000 of funding from Google, Inc. via its Digital Humanities Awards Program. Google Ancient Places (GAP) is developing a Web application which allows users to choose a classical text or book (500BC - 500AD) and then search for references to ancient places within it, presenting the results in a user-friendly interface. GAP uses specialist software to identify where and how often places are mentioned within a text, displaying references to the locations and plotting results on a map using an independent digital gazetteer (Pleiades). 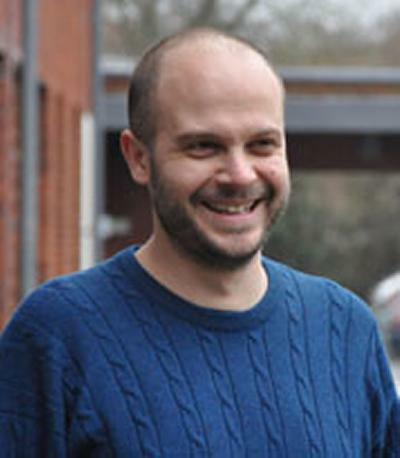 Project leader, and Southampton Digital Humanities specialist, Dr Leif Isaksen explains, “A GAP user can not only see how an author’s narrative moves from place-to-place, but also how a town or city’s relative importance varies throughout a historical text. GAP is an international collaborative research project between the University of Southampton (Dr Leif Isaksen), The Open University (Dr Elton Barker), the University of Edinburgh (Dr Kate Byrne), University of California, Berkeley (Dr Eric Kansa) and independent developer Nick Rabinowitz. This Digital Humanities Research Grant is the second round of funding GAP has received from the Google Research Awards Program, and will allow the team to expand their project to a wider variety of books and texts. In addition, GAP is part of a larger network of open data on antiquity called Pelagios, which is made up of several similar online projects. By integrating GAP with this network, the researchers hope to give users access to more varied types of data, such as archaeological artefacts or historical documents. To explore Google Ancient Places, please visit: http://googleancientplaces.wordpress.com/gapvis/ version of your browser.